The purpose of the Nedbank Mobile Clinic Project is to continue delivering preventative healthcare services to the doorsteps of communities who do not have access to basic health care services. Nedbank will improve on social responsibility programs, assure future successes in the social performance arena and enhance the organisation credibility with the large reach the mobile is achieving. Furthermore, Nedbank has the prospective of growing its future market share as many of the learners provided healthcare today will remember Nedbank with care and compassion, so much so to let themselves be potential future clients. A greater emphasis on primary care can be expected to lower the costs of care, improve health through access to more appropriate services and reduce the inequities in the population’s health. By means of the Nedbank Mobile Clinic Project, Nedbank is not only facilitating help to the communities but providing an effective implementation tool of the World Health Organisation’s Schools Health Initiative. This assists overburdened health care systems, provides relief to the South African Government and a proven tool with which to implement health care practices. Without the mobile clinic solution, it will not be possible to implement the WHO Schools Health Initiative and there would be little to no way of reaching those who need health services the most. 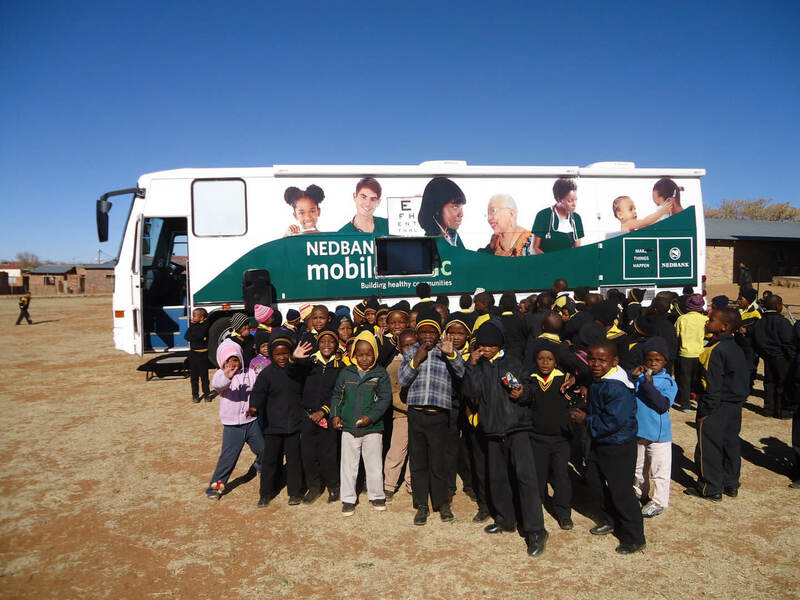 We can proudly announce that we have managed to touch the lives of 10,412 schoolgoing children for the period July 2013 – September 2015 and we look forward to the launch of the next Nedbank Mobile Clinic in Limpopo.